This week the theme for both hours of the Radio Free Charleston Podcast is ‘Ten years of Popcult.” We’re going to bring you two hours of music that was featured in The PopCult Blog, RFC’s home base, to mark the tenth anniversary of PopCult on August 28. All of the music in this show was featured in PopCult, either as part of Radio Free Charleston, as stand-alone songs or videos or is music that we reviewed. You will hear the stories behind these songs and some hints at why they were included in this show. Also included is some music that was was created especially for PopCult by RFC host, Rudy Panucci. 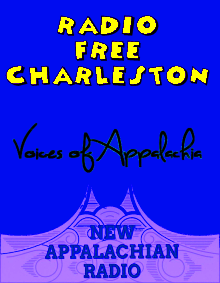 You can listen to the show in this widget HERE or look us up over in the VOA archives.